I had to. After shooting Evil Jim’s that bloody thing just wouldn’t get out of my head. I had to join the Guide Gun Club. So I looked at what we had at the gun shop and I picked out this little thumper. 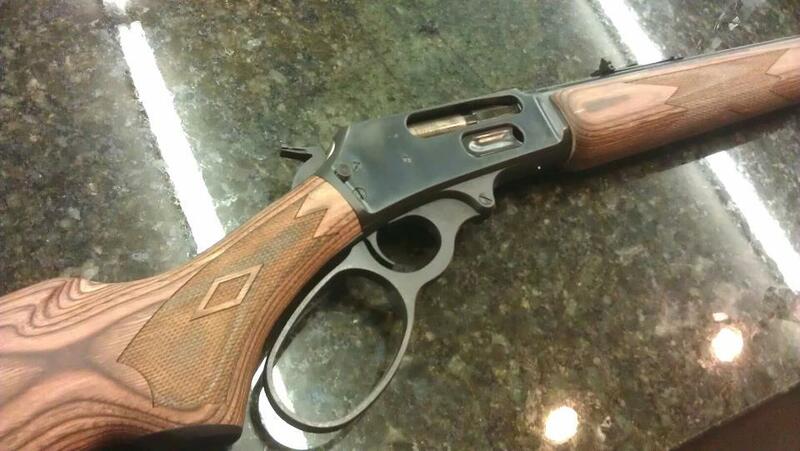 It’s nothing fancy at all, just a Marlin 1895GBL in .45-70. It’s going to do just fine for my needs. The Guide Gun has always been a gun I’ve wanted since I’ve had just about all the others. Finally got my own. I might have to order some Wild West Guns sights for it… but other than that, I’m keeping it nice and simple and stock. No rail, no red dot, no “Tactical”. Just Old School Thumping Power. Gotta love it.